Hi Everyone! 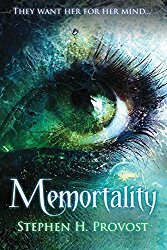 So as you can see, I am participating in Xpresso Blog Tour's tour for Memortality. They have supplied me with a copy of this book in order to provide an honest review. Please note that this has not affected my opinion in any way. Minerva Res can raise the dead. And it might get her killed. Minerva's life has never been the same since the childhood car accident that paralyzed her and killed her best friend, Raven. But when the long-dead Raven reappears in her life, now as a very attractive grown man's he discovers that her photographic memory has the power to bring the dead back to life.. heal her paralysis... and shape reality itself. Pursued by a rogue government agent who wants to eliminate her and her talents. Minerva must learn to control her powers to die herself and Raven. Because if she dies, he dies as well - again. This has got major paranormal vibes and if you know me then you will know that this genre is kind of my guilty pleasure. I am pretty excited to get into this book because I find necromancy in paranormal stories quite interesting. And lately I have been getting back into this genre because of Xpresso Book Tours. On that note, I would like to thank Xpresso Book Tours for allowing me to part of this tour and for sending me this book for my tour post. Please note that in no way has receiving this book affected my opinion. All thoughts are my own. The author had a habit of describing the character's surroundings before he described the characters. Through most of the book I had no idea what the main character looked like. I was slightly confused a through some of the book because of that. I also think that having multiple points of views didn't really work for this book. For the most part, I only cared to read from our main character's point of view and thus would skip over the others. The plot was interesting enough but it just felt... I don't know a little plain? There was just something lacking, it could be action or maybe just a bit more umph. The plot does get better as you continue with the book. I was so confused with where the prologue fitted in, I could sort of make the connection but until it became clear, I just felt that it might have been a bit unnecessary. The story did eventually pick up but it was a case of too late. Our characters were also a bit plain in my opinion. I didn't really connect with them, no matter how hard I tried. I wish that I could because I really believe that they would have made the story a lot more interesting. Overall, I found this book okay. I couldn't connect with the characters and I felt as if the blurb sounded way more interesting than the actual story and I really wish that that wasn't the case. Thank you to Xpresso Book Tours for sending me a copy of this book for this blog tour. I wish I could like this book but I think it was clear that it just wasn't for me. Stephen H. Provost is an another of paranormal adventures and historical non-fiction. "Memortality", his debut title in Linden Publishing's new fiction imprint, Pace Press, is due out in February 2017 and is available for pre-order on Amazon. An editor and columnist with more than 30 years of experience as a journalist, he has written on subjects as diverse as history religion, politics and language and has served as an editor for fiction and non-fiction projects. His book "Fresno Growing Up,"a history of Fresno, California, during the postwar years, is available on Crave Street Books, and his next non-fiction work, scheduled for release in June 2017, will examine the history of U.S. Highway 99 in California. In addition, the author has published several books as Stifyn Emrys, beginning in 2012 with "The Gospel of the Phoenix" and also including the nonfiction works "The Way of the Phoenix" and "Undefeated." 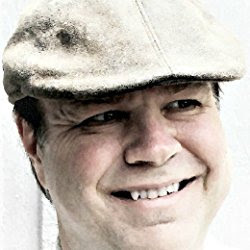 He also has published three works of fiction: "Feathercap" (children's); "Identity Break" (young adult science fiction/adventure) and an accompanying novella, "Artifice." The author has severed as editor of four young adult novels: The "Mad World" series by Samaire Provost - Epidemic, Sanctuary and Desperation - and the award-winning Lorehnin: Novel of the Otherworld, Volume 6 in the Otherworld series by Jenna Elizabeth Johnson. He has worked in journalism as a news editor, sport edition and reporter for four daily newspapers in Californian nd is currently managing editor for an award-winning weekly, The Cambrian. He has worked as an education and has been featured at occasional speaking engagements. He loves on the California coast with his wife, stepson, cats (Tyrion Fluffybutt and Allie Twinkletail) and dogs.